Help support Unum Heart Meditation Station programs move energy towards the positive. 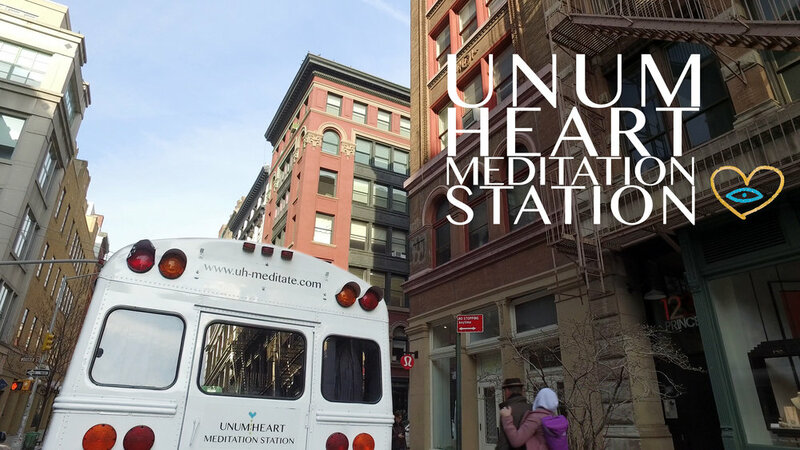 Unum Heart Meditation Station is a sacred space that is dedicated to helping people fulfill the highest, truest expression of themselves as a human begins. It is dedicated to uplifting the vibration of all people. The main focus of Unum Heart's programs is to serve those who want to live life feeling their best self. Unum Heart offers speciality programs for Youth at Risk and for those with Autism, Addiction and PTSD. Unum Heart Meditation Station offers many healing programs to people in need. The Meditation Station is also in need of constant maintenance. These programs can not run by themselves. We need your financial support. With a donation of $500 or more, one will have their name/business name on www.uh-meditate.com with an annotation "supported by", and your name/logo on the side of the UHMS, for 60 days. What a great way to make your company visible around the city and support our programs. There are also options to create corporate consciousness in you workplace through donations. Donating time and skill is also a great energy exchange and helps UHMS look and run it's best. 3. Someone to weld storage boxes. Please send an email to uh.meditate@gmail.com for more information.